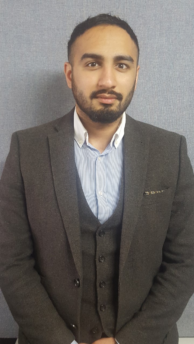 Ali Raza Ilyas is a Solicitor-Advocate based in Manchester, with a keen interest in social change and activism. He is the Chair of his local Labour Party and a delegate to the Constituency Labour Party. Aside from Law and politics, he is passionate about writing, having written short stories and published articles the focal point of his work is in the combination of poetry and art. He uses social media such as Instagram as a platform for his work.